Please note that while we try to keep these menus as up-to-date as our in - house menus, the information below should be regarded merely as representative and are subject to change - in availability of choices, available specials, and prices. 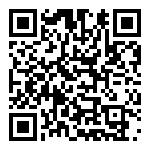 Scan the QR Code with a QR reader or click the appropriate app badge to download the Norwood's Mobile App. Copyright Norwood's Eatery & Bar Treehouse. Designed by Live Tour Network, Inc.